Get the Twilight look with Urban Male…….. Fancy yourself as a bit of a werewolf then? Check out this great look we found on Polyvore featuring our very own Leather bracelet……. 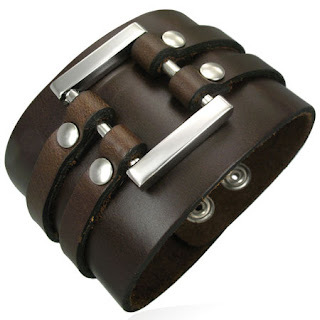 A wicked wide brown leather cuff style bracelet that looks & feels great on, outstanding value at only £19.99! !